This weekend is shaping up to be a major one for the bourgeoning realm of competitive e-sports. Not only is the Frankfurt Major—the first big quarterly Dota 2 tournament spun off in the wake of Valve’s blockbuster The International—wrapping up its championships on Saturday, but Intel’s Extreme Masters San Jose is also holding court, with top Counter-Strike: Global Offensive and League of Legends teams from around the world competing for $175,000 in cold, hard cash. And the latter’s offering an intriguing feature courtesy of Raptr’s Plays.TV service: The ability to view every match from the point of view of the players themselves, rather than the usual spectator view. And that’s every participating player. 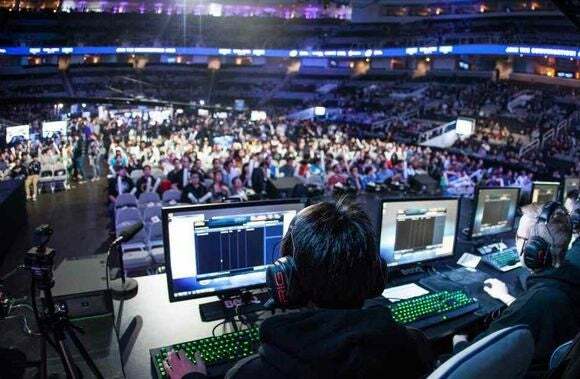 There will even be POV videos from the “celebrity deathmatch,” pitting Intel CEO Brian Krzanich and Mark Cuban of Shark Tank and Dallas Mavericks fame against each other in League of Legends, if you ever wanted to view the battle for the mid lane through the eyes of billionaires. You’ll still have to stick to Twitch or the ESL website to stream the live event, but shortly after each match ends, full videos from each player’s perspective will appear on ESL’s Plays.TV’s page, along with curated highlight reels. The videos will even show the cursor movements for each player—nearly 90 of them—letting you truly slip into the minds of some of the world’s top competitive e-sports players and see exactly what they saw in the heat of battle. UPDATE: Here's an embed of the Cuban/Krzanich celebrity deathmatch. Its dedicated Plays.TV page lets you hop between player perspectives, while ESL's main page is already stocked with POV videos of every match played thus far. The story behind the story: This POV footage is a first for a major LoL tourney, and it’s only the second time being it’s used for pro CS:GO matches after Plays.TV inked an agreement earlier this year to use its software at Intel Extreme Masters events. If you’re looking to up your e-sports game, watching how the world’s best players react to specific situations can teach you a lot, fast. A promotion like this drives home the unique value of Plays.TV, a slick and addictive service that marries video recording software on your PC with an Instagram-for-gamers-like social service. While Twitch excels at showing big tourneys in real time, Plays.TV’s software can plop you right in the shoes of some of the world’s top e-pros. CS:GO video captured in the Plays.TV client. For us plebs, Plays.TV’s video recording software captures your gameplay video with minimal performance overhead, then uses algorithms to identify the key moments in each match—kills, deaths, bomb plants, et cetera—and help you quickly assemble highlight reels of your match’s greatest hits. Or, you can use it for traditional gameplay capture too, and its baked-in editing tools make trimming down fat and getting your videos online easy-peasy. 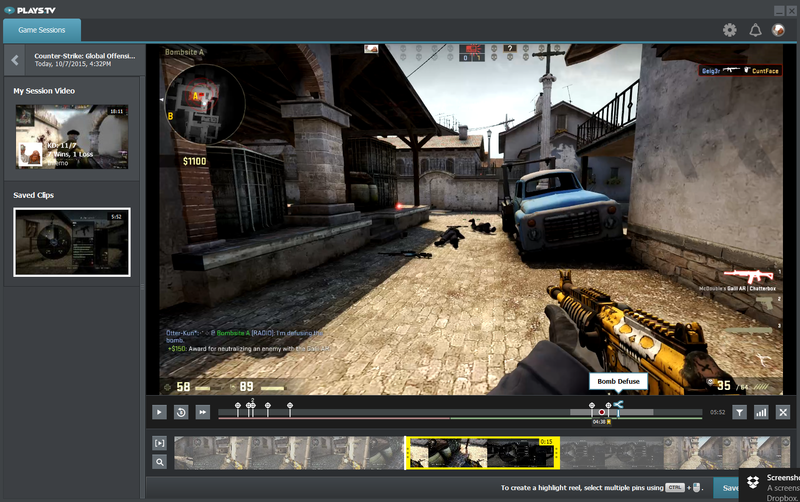 It’s intuitive and requires far less manual labor than using a tool like OBS or Nvidia’s Shadowplay to record your footage, then a separate video editing tool to hone it down. Afterward, the tool can upload your clips to the Plays.TV website. Even if you could care less about recording your own videos, the website’s chock full of short, awesome gameplay clips from millions of gamers, and it’s all too easy to slip into a hole and find yourself spending a couple hours plowing through 30-second clips of epic Rocket League plays—or the longer POV videos of competitive e-sports pros. Check it out if you haven’t yet.